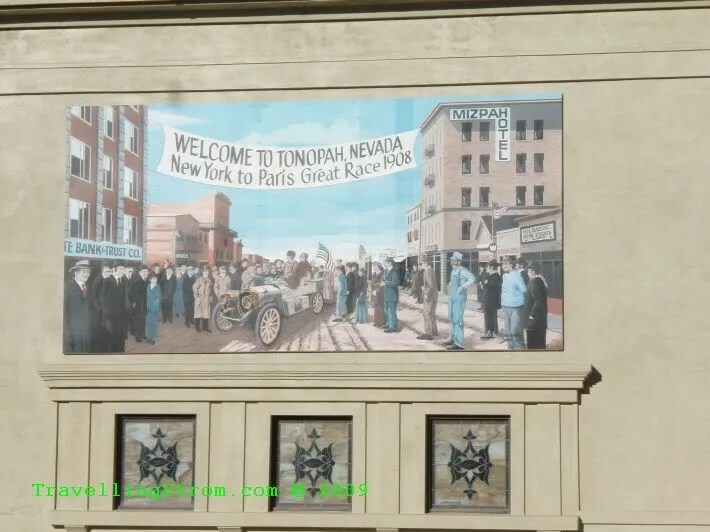 Not much to do here in Tonopah, especially with limited transport. I spent most of the day trying to sort out a tyre shop with a tyre that I liked in a location I could get to. The motorcycle forums once again were very helpful, I tried a couple of shops in Las Vegas (200 miles away), but the only choices were an Anakee, which I hate, or a TKC80 which was too knobby for my needs. The only other way to go was to phone a bike shop in Bishop (115 miles away) or head to Carson City (230 miles away) where the Adventure Motosport shop was located. His website showed they had tyres, but I needed to wait until Monday to call them and Bishop. After all that I went for a bit of a stroll around the town, which is a silver and gold mining town. 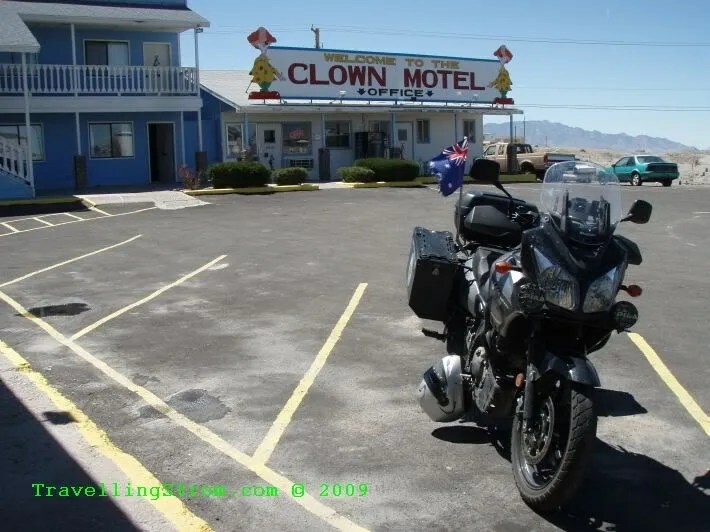 The one photo I missed was of all the clowns in the lobby of the Clown motel, heaps of them, as well pictures as in the rooms and on the doors. You will have to go see for yourselves I guess. This sign depicts the old railway station that burnt down and behind it is just an open area which is set aside for free RV and truck parking, not a bad idea. 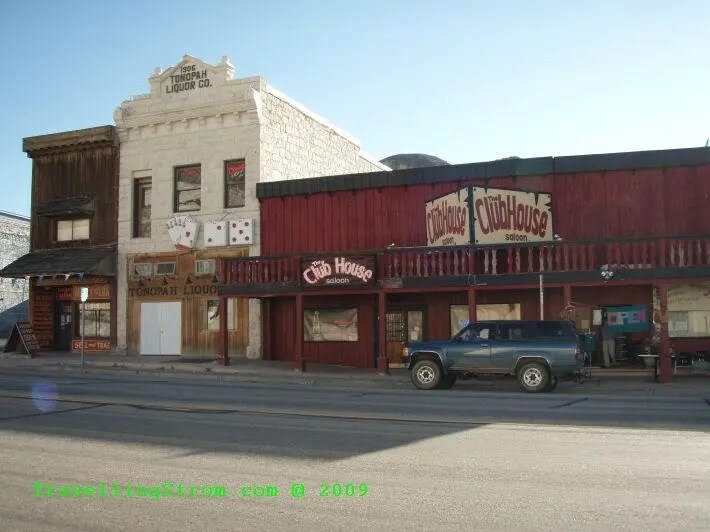 The site of last nights excess, on the left is the white liquor store where they had the noisy party and next to it the Clubhouse saloon. 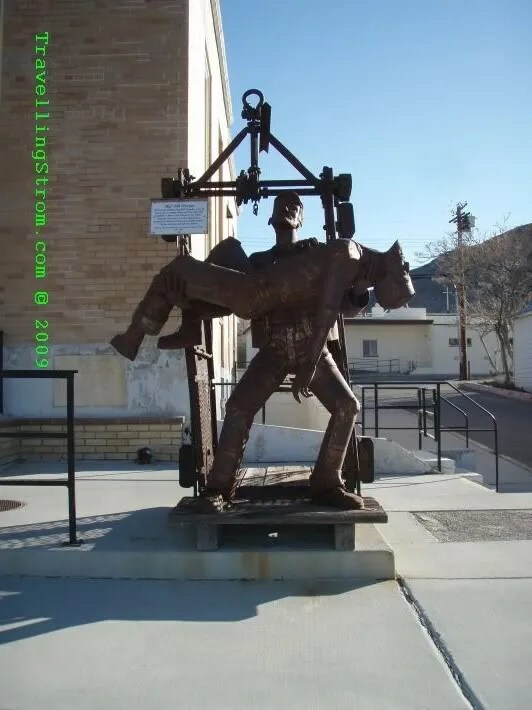 Outside the post office is a statue of Big Bill Murphy. 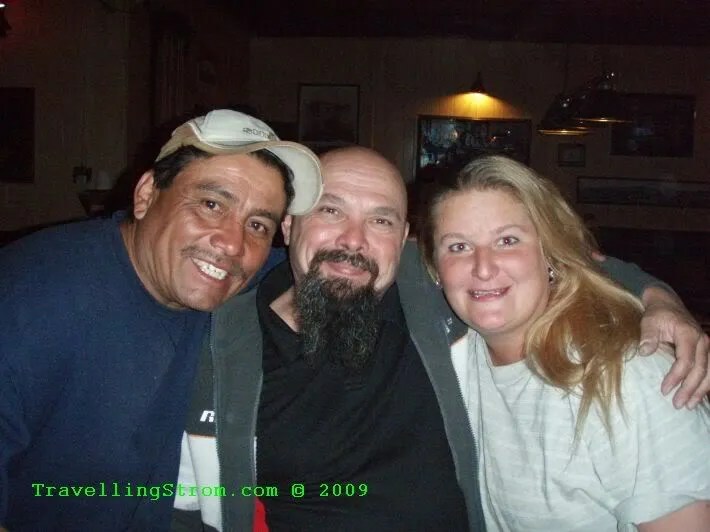 He was the cage operator at the mine and during an underground fire in the early days, returned underground many times to bring out survivors, until the last time when he did not return. A large mural on the wall across from the pub, the town must have been booming back in them days. Not a real late night, but late enough. I could not phone the shops until nearly 10am which is nearly booking out time anyway. This entry was posted on April 19, 2009 at 10:13	and is filed under Around The World, USA Leg. 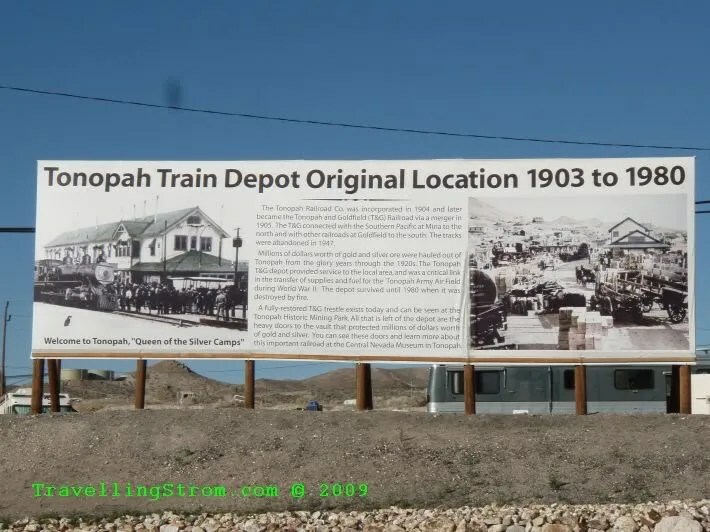 Tagged: Tonopah. You can follow any responses to this entry through the RSS 2.0 feed. You can leave a response, or trackback from your own site. 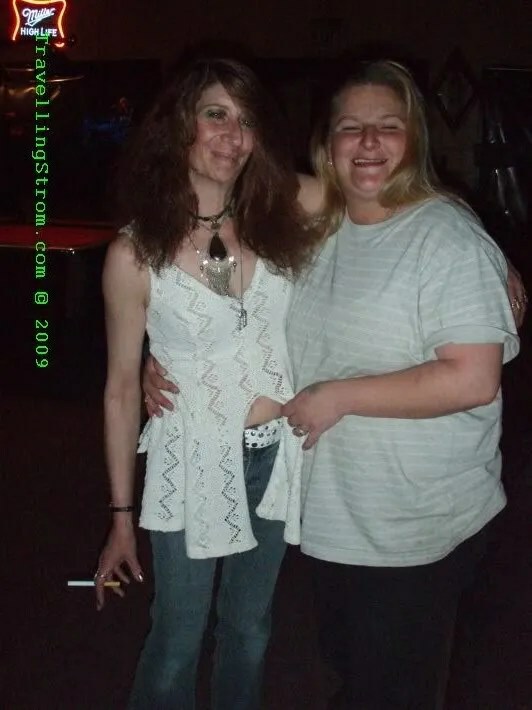 I don’t know if you can do anything about it but your photos are coming through severely “cropped” on the right. I estimate we’re missing about a third of the image. Maybe your screen resolution has changed? I did play with the picture sizes prior to leaving SLC, mainly because I could see they were cropped on a normal PC with 4:3 aspect ratio. Normally, like last years, they were 780×780 but I have since settled on 710×710, this is the best I can do without making them too small. I cannot do anything with this laptop, if I change the aspect ratio from widescreen to 4:3 it looks shithouse and I cannot work with it like that. I have not changed anything on my end since SLC if that is any help. Photos are showing up fine on my screen. Thanks Becsta, are you using a normnal PC or laptop?